Setting new standards in design, this compact unit combines proven lubrication technology with integrated functional elements. The easy-to-clean PPS30 piston pump features an integrated relief valve and electronic sensors, as well as a central opening for easy filling from all sides. 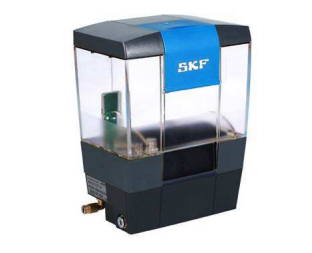 In addition to low investment costs, it offers very low operating costs due to minimal compressed air consumption. The lightweight unit is made almost entirely of functional, high-performance plastics. The PPS30 piston pump is typically used in machine tool applications.